Budenheim - February 01, 2019 For the seventh time in a row, BERICAP, one of the world’s leading plastic closure manufacturers, will be exhibiting at the Packaging Innovations Show at the National Exhibition Centre in Birmingham from 27th to 28th February 2019. The clear focus will be laid on the broad range of innovative products that have recently been developed. BERICAP DIN 60 TAP, for example, a safe, convenient and time-saving capping system for the industrial sector, offers a unique one-step tap application that avoids the need for tools and is highly consumer convenient. It is no longer necessary to remove the closure to apply the tap. The protective membrane breaks without falling into the filled product when the tap is applied. Since the closure does not come into contact with any other items like a drill, the closure and the filled product remain absolutely clean and hygienic. Another pioneering innovation presented at Packaging Innovations is BERICAP’s Ring Peel Liner - the new generation of induction heat seal discs, in conjunction with BERICAP IHS screw caps. 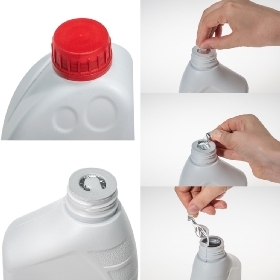 Ring Peel Liner provides sealing at its best - with accurate IHS-weld seals on (PE) container necks. 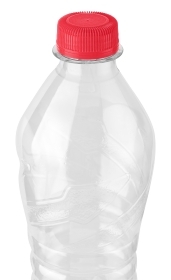 The innovative design overcomes the problem of opening conventional seals - both the PE layer and the aluminum foil remain on the bottle neck when the closure is opened. This Ring Peel Liner is easy to tear off by lifting up a PE ring. 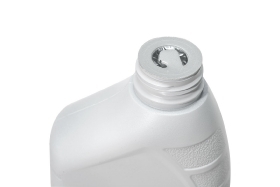 A residual portion of the PE layer remains on the bottle neck as a gasket when the closure is applied again and works as a reliable reseal feature after first opening - while providing protection from leakage at the same time. Thanks to the easy tear-off, no additional tools such as a screwdriver, key or knife is needed to remove the foil - and fingers keep clean. Both significantly erases user convenience. Besides these innovations, BERICAP will also be showing its broad range of light-weight, consumer-friendly closures for the beverage sector that are an example of the company’s innovative spirit. 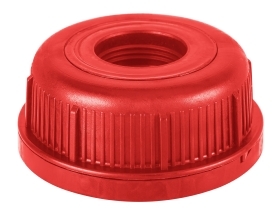 The closure specialist is well-known for solutions that surpass the usual packaging standards. “Manufacturing and supplying plastic closures for food, beverage and industrial markets, we aim to contribute to the success of all our customers based on strong innovation, concentration on quality and efficiency, technical service and a global manufacturing platform”, Steve Kerridge, Sales Director at BERICAP UK explains. Furthermore, the new BERICAP stand located at J47 presents the company’s recently refreshed corporate design reflecting the well-received new www.bericap.com website which includes accessible company and product information and an easy-to-use Cap Finder. The UK has been one of the company’s growth markets in the past few years. Both factory production and personnel capacity increased considerably. The expansion was built upon the success BERICAP UK has enjoyed in the last decade - not only within the beverage sector, where the company today holds the market leading position, but also in a diverse range of product sectors such as the “Industrial” division, including products for the food and non-food markets manufactured in the UK. Packaging Innovations is the UK's leading event for primary and secondary packaging, offering a unique mixture of suppliers, innovative products and educational content. From leading global brands and retailers, to innovative start-ups, exhibitors and packaging procurement experts can meet and find out the best and most innovative packaging solutions. As a cooperation between BERICAP UK and other BERICAP sites, experts across all business units will be welcoming prospective and established business partners to support them with the latest information on innovative and high-quality closures. Visit the BERICAP stand to see the other new products on offer. BERICAP at Packaging Innovations, National Exhibition Centre, Birmingham. BERICAP is one of the leading global manufacturers of plastic closures, with 24 factories serving customers in over 100 countries across the world. With four central R&D centers, an own mold shop and several satellite R&D offices in its main operations, BERICAP is particularly committed to developing innovative plastic closures to support its customers’ success. The company puts a strong emphasis on quality. Best manufacturing practice in the BERICAP Group is centrally coordinated and implemented at each plant to ensure superior quality and will be continuously leveraged to raise the quality level further. All BERICAP plants are ISO 9000 and BRC-IOP or ISO 22000-certified. In order to strengthen its global presence, BERICAP set up ongoing projects in several countries in Asia and the Middle East and built a network of licensees and partners to supply similar products made according to the same quality and service standards for its global customers.